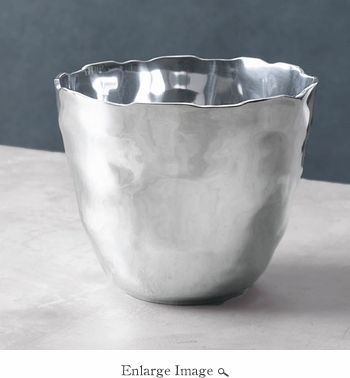 Compact and sculptural, the small SOHO Demeter Bowl makes a towering statement. Distinguished by a richly modeled surface, its tapered form will inspire myriad serving ideas. One of a trio of Demeter bowls, the smallest makes a stunning statement alone, or with the other bowls. A unique gift for anyone on your list.